Find yourself being pushed down the pecking order at work or struggle to get your point heard? You're not alone. Being confident in the workplace isn't simple, so we asked Emma Cullen from Mentimeter for her expert tips on how to build self-belief at work. In order to gain confidence, it's essential for you to get rid of self-doubt. Whenever you feel doubt creeping in, it's a good idea to think about past experiences where you have achieved something. This will remind you of what you are capable of, giving you the boost of confidence you need to dismiss the current feeling of doubt. When you manage to overcome self-doubt, you become stronger, and in time you'll find it becomes a little bit easier to dismiss these feelings in the future. Instead of seeing mistakes as examples of failure, alter your mindset and see them as an opportunity to learn something. When you adopt this mindset, you will find that mistakes are no longer something that can dampen your confidence at work. Once you let go of the belief that you need to be perfect, you will find that you feel more confident taking risks and trying new things. There are plenty of tools you can use to help boost your confidence at work. 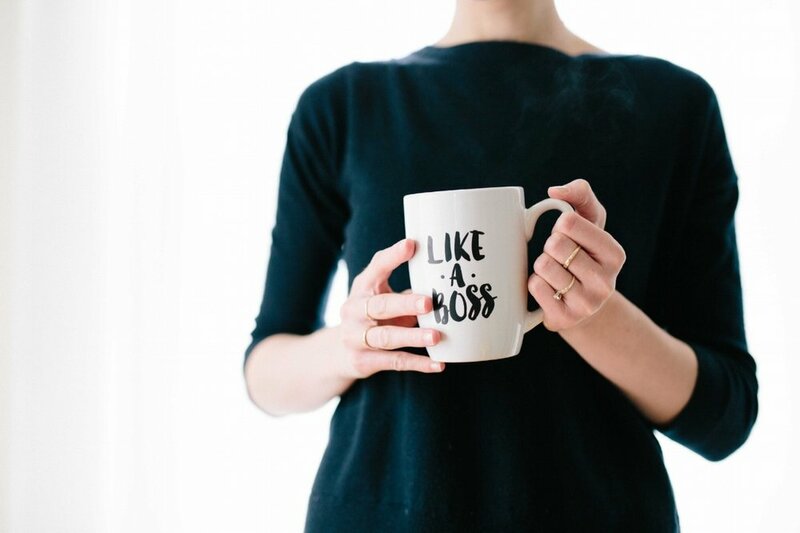 Consider reading books that have been written by successful leaders or podcasts, like ‘This Is Your Life’, that explore how to be more assertive in the workplace. There are also courses and resources that you could use, or try the online presentation platform Mentimeter. It enables you to create interactive presentations, which you can use to engage audiences with and encourage active participation, rather than having all eyes on you. Your outward display of behaviour is often dependent on how you feel within yourself. Take time to plan and prepare for situations so that you're never caught off-guard and instead know how to handle them. Try to arrive on time to work so that you don’t start your day feeling stressed, and make sure to dress in a way that's comfortable and that you feel confident in. If you think that you feel and look good, you are bound to feel more confident in yourself, and, as a result, you will appear more confident to others. While it might seem daunting, never be afraid to ask questions at work. Questions will help you succeed within your job and ultimately help you to feel more confident in your abilities. It’s important to ask for feedback and help from your manager, mentors and colleagues. Not only does it demonstrate that you care about your work, it ensures that you have an accurate idea of what you need to improve on and what you are doing well. Positivity is important at work. It can have a profound effect on your performance and that of the people around you. Try to ensure that you adopt a positive outlook even if you are feeling disappointed or annoyed by something. Consider distancing yourself from those in the workplace who have a negative attitude, as this will only dampen your own spirits. When you work in a fast-paced environment, it can be easy to forget to recognise small achievements throughout the day. Whether you've me a short deadline or come up with a new idea, take time to silently congratulate yourself on these things, rather than only focusing on the things you didn’t manage to accomplish or find the time to do. Thinking like this will remind you to focus on the positives and helps to boost your confidence. Big thanks to Emma for her wise words! If you've got any other tips for confidence at work, please share them in the comments or via Twitter.